Citizens Development Business Finance PLC (CDB) made its first acquisition in its 20-year history last year when it acquired a 86.26% stake in Laugfs Capital Ltd., a specialised leasing company registered under the Finance Leasing Act. The company has been renamed Unisons Capital Leasing Ltd. (UCL) and intends to aggressively expand its business, focusing on identified strategic business segments and markets. Commenting on the intended strategy of Unisons Capital Leasing Ltd. (UCL), Director/CEO Karthik Elangovan elaborated the companys intention of penetrating market segments that its parent CDB does not strategically focus upon. He further elaborated that UCL’s intention is to operate a low cost business model, where it will use CDB’s well-established distribution network across the country and a shared services model for centralised services within a group structure, coupled with exploring digital space to the optimum. Karthik, a Graduate of University of Sri Jayewardenepura in Business Administration and a Chartered Marketer with a MBA from the Postgraduate Institute of Management (PIM), joined CDB in 2004 as Assistant Manager – Marketing when CDB’s balance sheet was approximately Rs. 1 b. Rising the ranks, he was a member of the corporate management team and held the position of Senior Deputy General Manager – Marketing at CDB prior to being appointed as the Director/CEO of Unisons Capital Leasing Ltd. (UCL). Non-Executive Chairman Roshan Abeygoonewardena, who is also the COO/Executive Director at CDB, stated that the company will take a path of organic growth during the next three years, exploring maaximum synergies as a subsidiary company of CDB, with intentions of listing on the CSE. “We firmly believe that this strategy will create optimum value to all stakeholders. Unisons Capital Leasing Ltd. (UCL) will also enhance its capital base in line with its business plan and regulatory requirements,” he added. 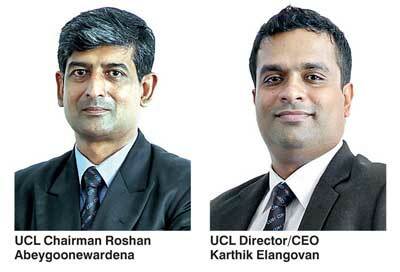 UCL also appointed Namal Chrishantha Gomes and Dr. Janaka Wanasapura as Independent Non-Executive Directors who will head the audit and integrated risk management committees respectively. Gomes is a Fellow of the Institute of Chartered Accountants of Sri Lanka and holds a MBA from the Postgraduate Institute of Management (PIM) and B.Sc. Accountancy (Special) from University of Sri Jayewardenepura. He is a Director in some listed and private companies. Dr. Wansapura has a PhD in Physics from University of Cincinnati, USA, He was a Fellow at Stanford University and an Associate Professor at Cincinnati Children’s Hospital prior to joining the University of Colombo as a senior lecturer. Unisons Capital Leasing Ltd. (UCL) is expected to unveil its new brand identity soon catering to new client segments offering innovative products to the leasing market. Its corporate office is located at 101, Dharmapala Mawatha, Colombo 7.